On a sticky summer evening, Hal Bromm controls the PowerPoint cursor, as he makes the Knowlton Township Historic Commission’s case for a grant award from the Warren County Municipal and Charitable Conservancy Trust Fund Committee. 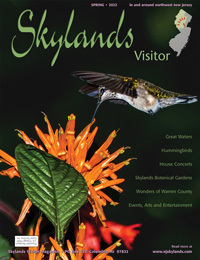 The slides document a decade of progress towards realizing the group’s mission to stabilize, restore and adapt a twelve-acre historic homestead along the Delaware River for use as an educational interpretive center, regional arts venue, and nature-based recreational resource. The Trust Fund committee will hear five more twenty-minute appeals at tonight’s meeting. One applicant, the mayor of Frelinghuysen, who is looking for a way to add an available parcel to his township’s 160-acre forest preserve, recalls when he served as a Trust Fund committee member. Back then, ten years ago, there were eight applicants. There are twenty-two requests for aid from a pool of funding that falls short by a million dollars of the ability to satisfy applications filed in 2011. There are more municipal parks and trails, as well as farm preservation easements, in line for Warren County dedicated funds for open space. There are pending church restorations and historic railroad stations that need support. There is the ongoing stabilization of Rutherfurd Hall in Allamuchy, and the grand old graphite mill in Asbury that will slide into the Musconetong River if it is not shored up. And, after being boarded up and forgotten for decades, the Roseberry Homestead, a landmark late-eighteenth-century home in Phillipsburg, is once again on the way back to its original grandeur; if a group of dedicated people can find the money. The Ramsay house and stabilized homestead structures in 2011. Below: The Ramsay house in 1900, one-hundred years after its construction, then one-hundred years later, in 2003. For the Ramsaysburg Homestead, this is the third application to the Conservancy Trust Fund. 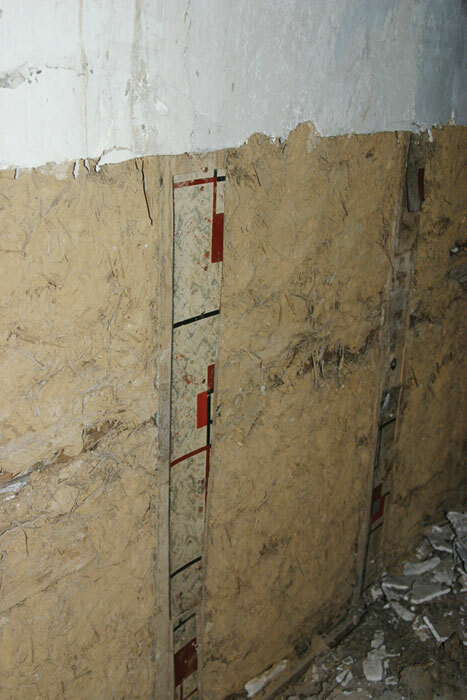 The first two came in 2003 and 2007, for stabilization of a house built in 1795, and a barn, cottage, wagon shed and smoke house, dating mid to late nineteenth century, and all about to return to dust. Another structure on the property, the former Springbrook Place resort hotel, burned in 1997, the same year the Knowlton Township Historic Commission was officially established. In 2000, Green Acres acquired the property along Route 46 just east of the village of Delaware, and the Department of Environmental Protection (DEP), unable to maintain any of the structures, was persuaded to lease the parcel to the Township of Knowlton. 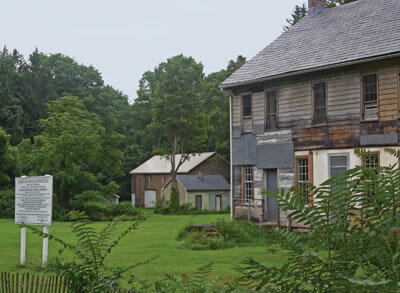 A $5,000 grant from the Warren County Cultural and Heritage Commission enabled preparation for listing the site on the NJ State and National Registers of Historic Sites in 2004. (Aside from customary prerequisite for further diligence and grant awards, a property listed in the National Register may qualify for tax incentives derived from the total value of expenses incurred preserving the property.) The Garden State Historic Preservation Trust Fund provided $46,000 in 2006 for the Historic Structures Report, a comprehensive analysis of each structure’s immediate and long-term requirements. 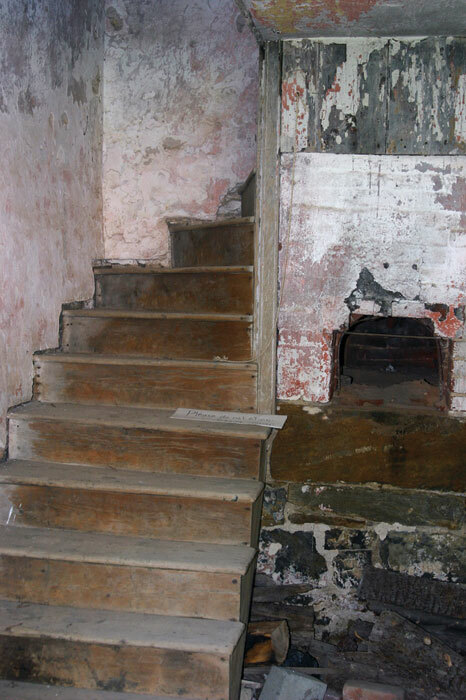 Then, in 2010, the Commission hired a planning and interpretive consultant with another grant from the New Jersey Historic Trust. The National Park Service/Martins Jacoby Watershed Association will help out with restoration of the Delaware River shoreline and access points, native plantings, and interpretive signage. If their current request is granted, the Commission will have secured over a million dollars, most of it spent on professional services and construction costs to keep the buildings from falling down. 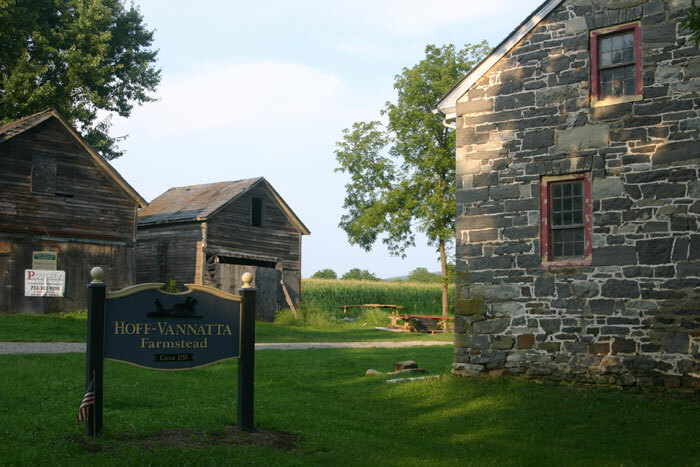 Hoff-Vannatta Farmstead in Harmony. Click to see more historic structures and restorations at the site. Clean up, Historic Register nomination, site management, visioning, planning, stabilization, and grant writing have kept the Harmony Commission busy for ten years. Like the Ramsaysburg venture, Hoff-Vannatta has received a little over a million dollars through several grants, as well as donations from PPL Services Corporation, Rocksburgh Grange, and support from the Township and the Historical Society. 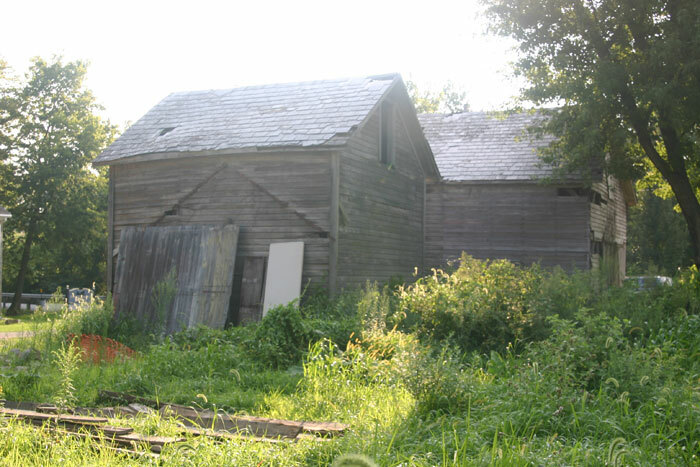 There are six buildings on the 250-year-old farmstead. The main house, built from locally-quarried limestone has been mended, one corner entirely disassembled and reconstructed, each piece numbered and replaced in its original position. 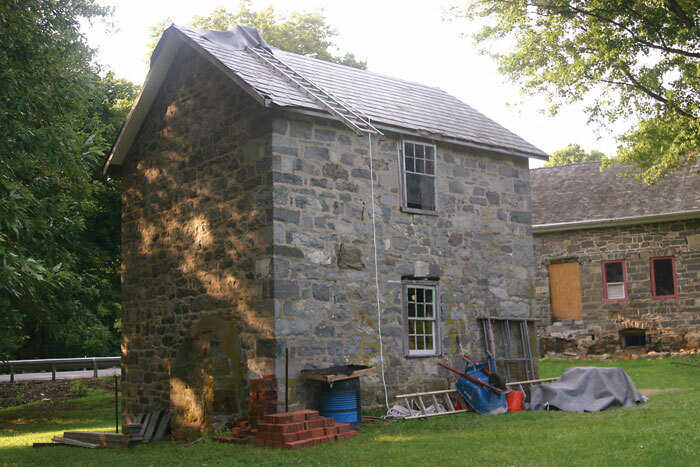 A two-story summer kitchen, also built with stone, stands across the yard awaiting masonry work. 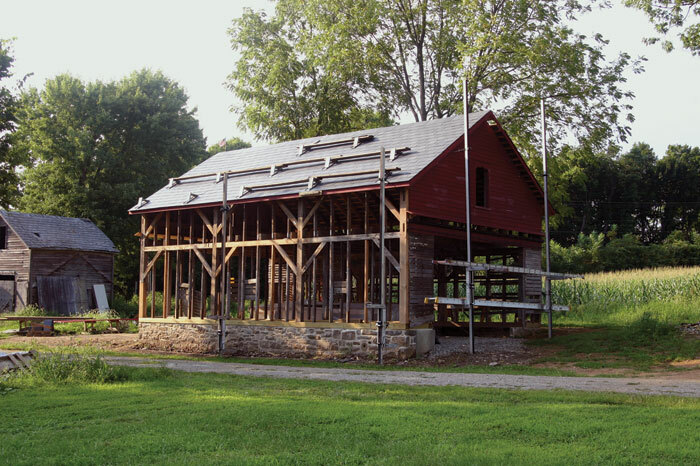 The wagon shed, one of three wood-frame out-buildings that need to be moved—in exact relative formation, away from the roadside—sits reassembled on a reconstructed foundation with a new slate roof, awaiting paint in the original barn-red hue of its younger days. The two other buildings wait anxiously, hoping to avoid an errant tractor-trailer off Route 519, or a heavy snow like the one that collapsed the wagon shed roof. 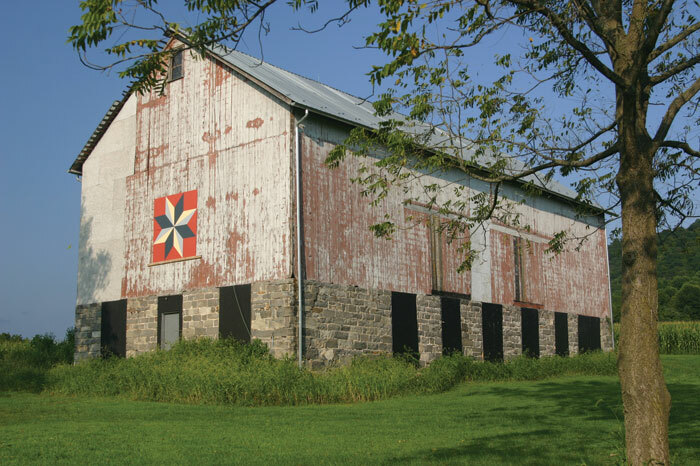 Then there is a magnificent barn, set like an anchor for the site at the rear of the property on more limestone. It’s hard to imagine the labor that was involved simply to transport each massive piece of stone from quarry to building site in 1824. 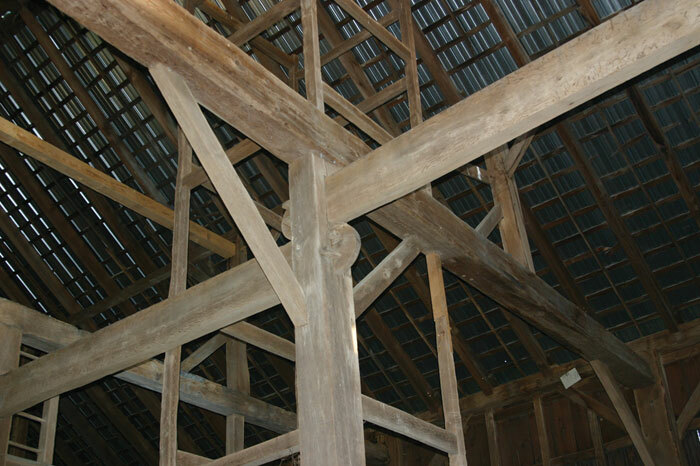 One corner of the 3200-square-foot barn has been entirely reconstructed; many of the sills replaced, rotted timber frames sistered with fresh wood, and tied together with precise, historically-correct joinery. A small town in highly developed Union County, Kenilworth is not particularly affluent. But many residents are descendants of the town founders, and the Historical Society carries some weight. “When I joined, everyone wanted a historic house like Cranford and Westfield and other towns in Union County. We didn’t have a place to display our artifacts, they were all stored away, and there was about $2,000 in the treasury. A member mentioned in passing that ‘that old house on the corner’ was for sale. I thought it would be an ideal location, so I presented it to the board and asked if they would be agreeable to contacting the realtor and doing some research.” It was not known as the Oswald Nitschke house back then, in 2000. No knew much about the house except that it had fallen into disrepair. So, what is it about old buildings that gets people going? What makes them bear the drudgery of grant writing, sit in meetings for hours, serve at a never-ending series of fundraisers? Old buildings evoke an emotional attachment; they’ve got personality. They are, in fact, lovable! The mere fact that one stands before us, a survivor, after a century or two (or three) astounds us. Its durability stems from construction by local carpenters and masons—usually with local wood, earth and stone—in a style with idiosyncrasies born from generations before. Its detail exudes craftsmanship, even artistry, rather than mere assembly. The old building embodies energy. Its mass buffers the summer sun and winter frost. Its doors and windows are carefully placed to provide optimum natural light inside. Its chimneys afford not only escape for smoke from the fireplace, but also for rising hot air throughout the house in warm weather, ample ventilation without a breeze or fan. And, even with all the time, care and skill utilized in raising this structure, it took far less from the earth’s resources than the installation of a modern home. Most of all, an old building is a human interest story. Though they’ve survived fire and flood for hundreds of years, as well as contemporary property developers, few old buildings are easily deemed “historic”. 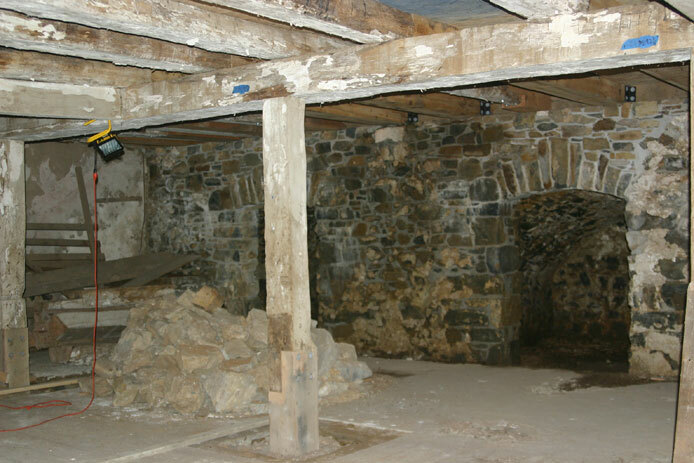 It is one thing, and certainly exciting, if history suggests that a structure once housed someone important, perhaps a Revolutionary War officer or a significant writer or poet. Even more exhilarating is the discovery of an obscure chronicle told by excavation of a building and the property around it. All the parts of its “system”—joists and beams, siding, roof lines, moldings, masonry, plaster, hinges, hardware, nails, the yard outside and the privy—yield clues about who lived there and why. If the evidence is abundant, it is possible to stitch together the genealogy of an extended family, early hamlet or homestead, sometimes even a larger community. The site becomes a candidate for preservation; a living museum, an expression of those who came before us. The candidate for protection gets elected when the case is proven; verified by qualified academic research and expert documentation by specialized historians, architects and archaeologists. To select and hire these post-graduates, it typically falls to a freshman group of amateur preservationists, just embarking on a long journey. With professional guidance, they create long-range plans for the care and keeping of historic buildings and environments. They take the risks, and they find the money. The cost of resurrecting a historic site to acceptable standards of public use, much less keep it above ground, is staggering. After the “soft costs”—legal, plans and permits—come the construction bids, also from specialized firms and tradesmen who have become certified in their ability to put things back together the way they were, accurately reflecting original form. Approved materials used in the process, often referred to in cost estimates as “architectural wood”, carry an elevated price tag. And labor costs paid with grants coming from the State of New Jersey must meet prevailing wage requirements. At the Hoff-Vannatta farmstead, to disassemble a collapsed wagon shed and stone foundation—a building that resembles a simple pavilion, with no electric or plumbing—then reassemble it thirty feet away, mostly with recycled materials, cost $178,000. Managing expenses means navigating a maze of pubic and private grant programs, each award dependent on the results of the last. The bargain expands beyond the salvation of an antique structure, incorporating aspects of community investment and business plans. 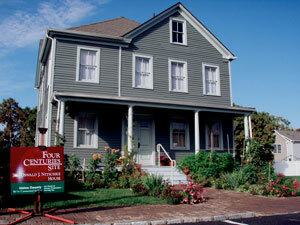 The New Jersey Historic Trust, part of the Department of Community Affairs, created in 1967 to preserve critical historic resources across the state, provides matching grants “for preservation planning and capital projects to stabilize, repair, restore and rehabilitate historic property” through the Garden State Historic Preservation Trust Fund. Primary to the accomplishment of the Trust’s mission is the New Jersey Heritage Tourism Task Force, whose task is to improve the state’s performance in the regional and national heritage tourism market. Thus, to claim continued financial support, community project goals must become broad and expansive. Like a vein of ore, significant historic fabric can be a precious resource for a community, if skillfully extracted. In Knowlton Township, for example, the Planning Committee has begun to frame the Ramsaysburg site as indicative of many of the larger themes that identify Northwest New Jersey's role in the nation's history; most importantly developments in transportation and early American commerce. The rehabilitated homestead can also become a venue for the enjoyment and appreciation of the arts. And the property along the shoreline can make an important contribution to the Delaware River Greenway, enhancing recreational access to the river. 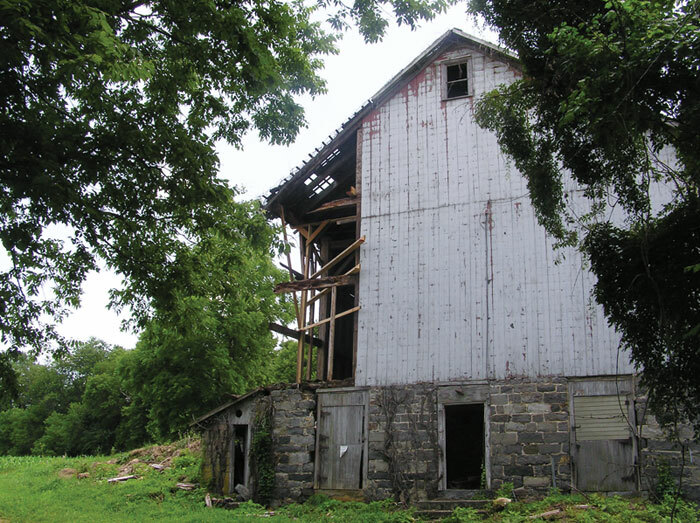 Adaptive reuse of the site would create valuable cultural and recreational tourism opportunities, while providing a community resource that can contribute to the quality of life for the residents of Knowlton Township and neighboring communities. As the horizon expands at successful projects, the little old Historical Society incorporates, forming an board of directors and action committees that manage exciting agendas with impressive budgets, recruitment programs, and public relations campaigns. As in any business venture, not only do expenses challenge the future, so do group dynamics. 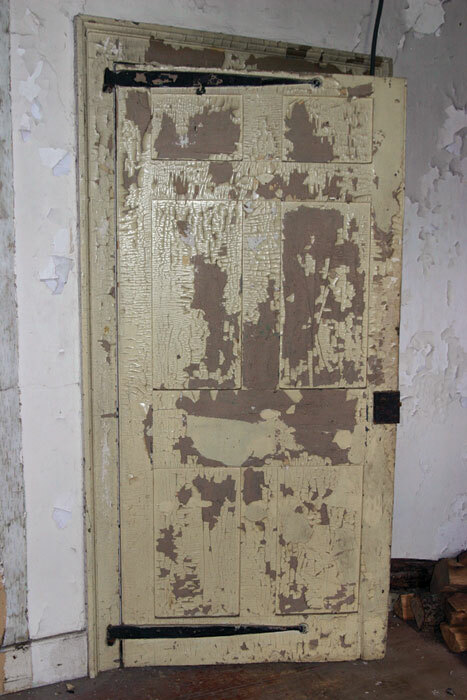 Planning consultant Linda McTeague, who has guided dozens of historic preservation projects in New Jersey observes, “Members of the organization can become dependent on their strong leader, leaving everything to him/her with the result that the organization cannot successfully carry on when that person is no longer available. A dominant leader can also provoke “founder’s syndrome”, where the original organizer feels complete ownership and becomes dictatorial, wanting to run everything his way, thus preventing the organization's growth and/or adaptation of new ideas. Therefore, the organization is successful only when the motivated leader knows how to delegate responsibility and when the organization’s board members understand and are committed to achieving the goals and objectives of the long range plan.” It’s a long, and winding, road. Next time you read about some group adulating an ancient stone house or a dilapidated barn, think about what’s behind the story. There are some innovative ideas out there. Make time to see what they’re up to.